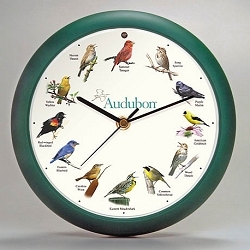 A different bird call every hour! 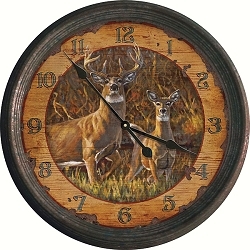 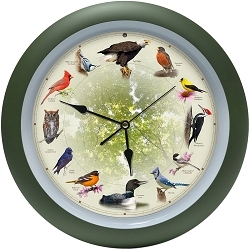 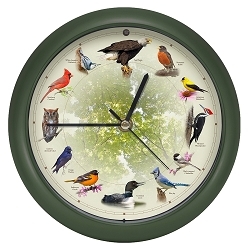 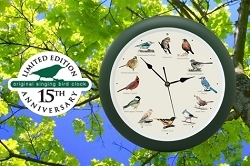 12 of the most popular North American birds are featured on this 13" Audubon Singing Bird Wall Clock framed in Green Matte. Each hour is announced by the beautiful song of that particular bird -- a different song every hour. 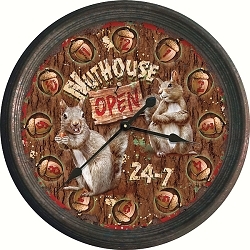 Light sensor deactivates the sounds when the room is dark. 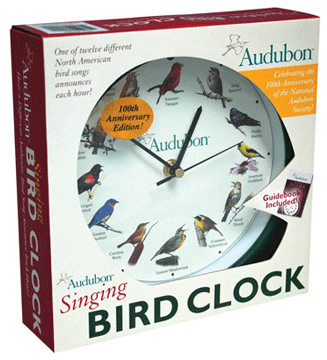 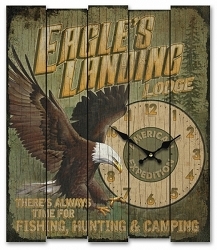 Officially licensed by the National Audubon Society. 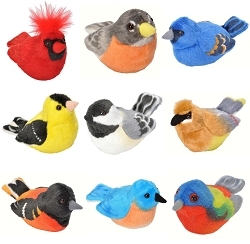 Attractively packaged. 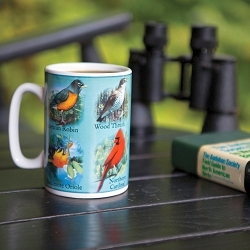 Makes a perfect gift for the bird lover! 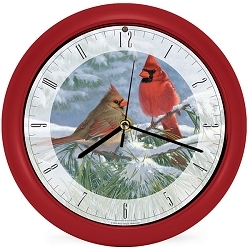 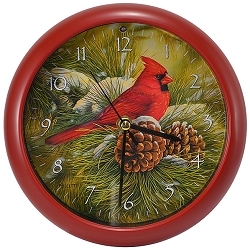 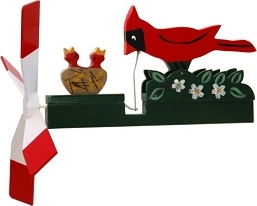 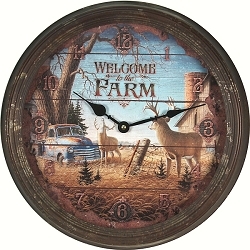 Winter Light Cardinal Sound Clock 8"
Rustic Cardinals Sound Clock 8"